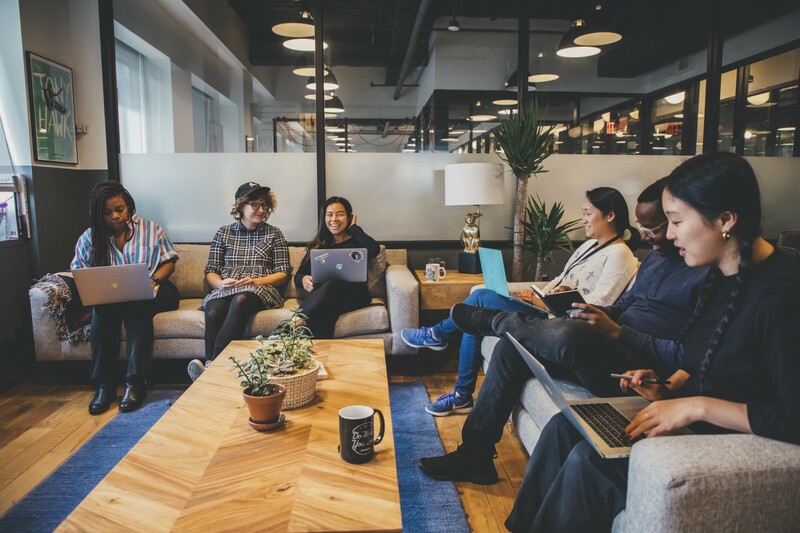 Designers, engineers, and PMs at Mailchimp work together to build tools for new and growing companies. We’re a leading marketing platform for small businesses that builds tools to help music producers, kimono designers, and ski-slope enthusiasts maintain their livelihoods. It’s truly a delight to serve them and empower the underdogs. If that sounds fun to you, come join our product design team. 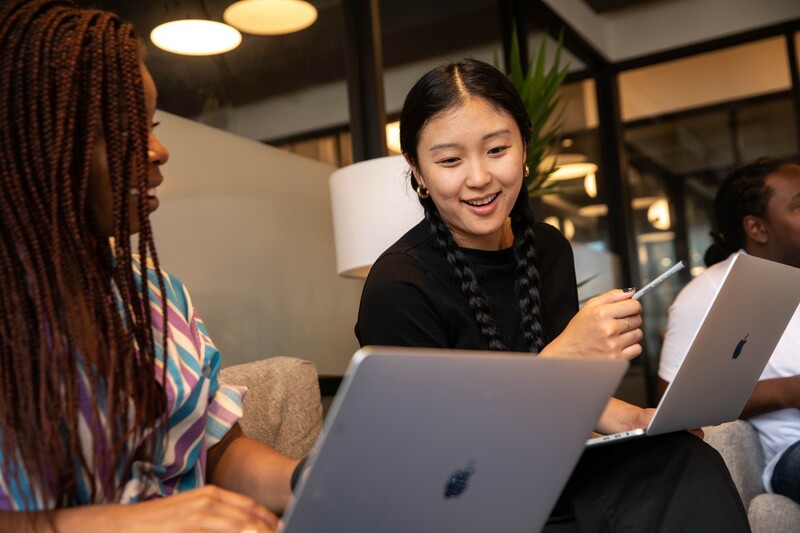 I moved to New York specifically looking for a kind, collaborative, diverse team with bright technical folks working on a brand customers love. I wanted to spend my days with people who were empathetic and thoughtful by putting work before their egos. I wanted to move projects forward on teams where design, engineering, and product were equal players and could bring all kinds of different experiences, life histories, and ideas to the table. Those were my personal criteria for my next job and was thrilled to find it at Mailchimp. If it speaks to you, you might like working here too. Our founders Ben Chestnut and Dan Kurzius started Mailchimp in 2001 and grew it into a global brand customers love without ever taking investments. As a Silicon Valley expat, I’ve come to truly appreciate setting our own priorities and goals, not beholden to VCs. Mailchimp’s priority to invest in our local communities lets us leave things better than we found it! Our newish office in downtown Brooklyn is small and mighty. We’re looking for two experienced product designers to build experiences for Mailchimp’s partners. In addition, these folks will be my allies in shaping the design culture in our local office and growing the presence of Mailchimp in NYC. Being new myself, much of the work ahead is for us to figure out together. Product designers at Mailchimp work on focused teams usually with 1–3 designers, 1–2 product/project managers, and 4–8 developers. We’re looking for a specialists in design who will learn and teach from the each other in the spirit of balanced team. Your collaborators come from Etsy, Google, Square, Stripe, Spotify, 18F, Pivotal Labs, as well as small startups and other industries. Mailchimp product designers have experience building a product from a concept to post-iteration shipping: research, framing, ux/interaction design, visual design, and front-end collaboration with developers. It’s of course not possible to be an expert in all of these areas but your desire to learn is essential. Therefore, hopefully you’re also enthusiastic to teach what you know and learn along the way. We’re excited about our redesign and hope you are too. We evolved the brand to meet the changing needs of our customers. Our hope is to inspire our customers to be bold and creative with their own brands. 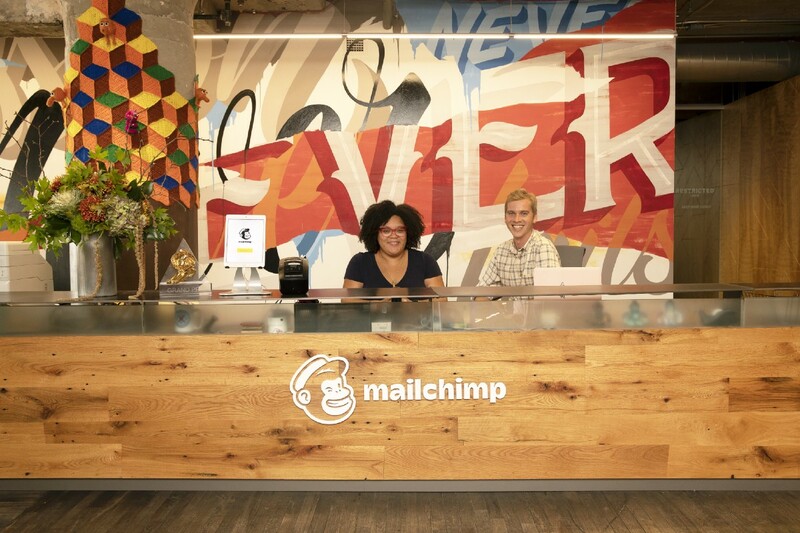 Mailchimp is based in Atlanta at Ponce City Market and bi-coastal with growing offices in Brooklyn and Oakland. 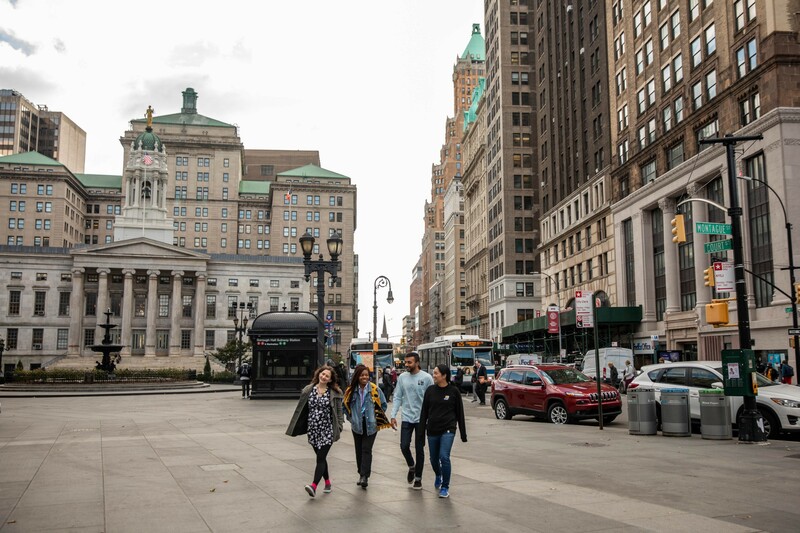 Once a quarter you’ll get to visit the HQ and expand your connections to culture within the company. You may have the occasional opportunity to travel internationally to learn from our customers. Gene Lee leads design at Mailchimp across all product, brand, and content as the VP of Design. He joined from Playstation, Nickelodeon, and Scholastic. You can count on him to support us putting the users first and designing whole, thoughtful experiences. 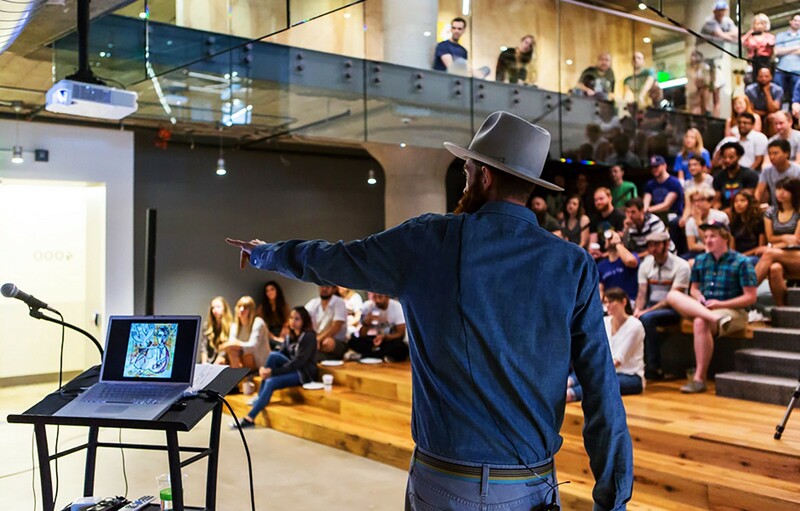 Ben Chestnut, co-founder and CEO himself is a designer and cares deeply for bringing creative, delightful experiences to our customers as much as getting the details right. He celebrates when we discover new ideas by exploring and tinkering and ensures Mailchimp continues to be a design-forward company. Great portfolios show process. We love seeing complex workflows where you were the primary designer and experimented with many versions. Examples of personas, ethnography, insights from user interviews, iterations on the product inspired by learnings and insights from customers, quantitative data, and user behavior are a major plus. Designers who show work that has shipped and includes early and regular collaboration with developers, designers, and PMs will get bumped to the top. Portfolios of only interface screenshots will be deprioritized. It’s a very exciting time to join us. If you love collaborating, shipping software, and learning every day, stop reading Medium and submit your portfolio. Thanks to Ryan Closner, perri, and Holly Tiwari.